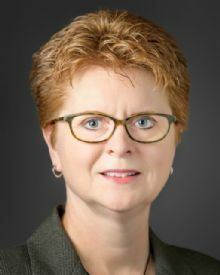 Carol Smith is President of the HESS Board of Directors and the Chief Information Officer at DePauw University where she leads IT strategic planning and efforts to provide innovative technology resources and services that support the mission and vision of the University. She oversees the Information Services staff of 40 technology professionals, whose expertise ranges across instructional technology and digital scholarship, administrative systems, networking, desktop and user support, web development, and printing services. Carol also serves as executive director of the University’s Information Technology Associates Program, a selective program that provides internships and programming for students to expand their technology and professional skills. Prior to her current post which began in 2008, Carol joined the DePauw community in 1994 and has been involved with information technology programs and initiatives at the university throughout that tenure. Carol holds an M.S. degree in instruction systems technology from Indiana University and a B.A. from DePauw University, and she is a graduate of the Frye Leadership Institute. She is a frequent presenter at conferences and active member of several professional organizations, including EDUCAUSE, the Consortium of Liberal Arts Colleges (CLAC), and the Independent Colleges of Indiana (ICI). Currently, Carol is the directing faculty member for the EDUCAUSE Leadership Institute Program (2014-2016) and is a member of the CLAC Board of Directors.